The archaeological section is, for certain, the most extraordinary part of the Giannelli Collection of ancient bits. In the first part of this article, we saw some of the most valuable pieces displayed for the first time in the exhibition at the Pinacoteca Züst, coming from Europe, the Middle East and Central Asia. 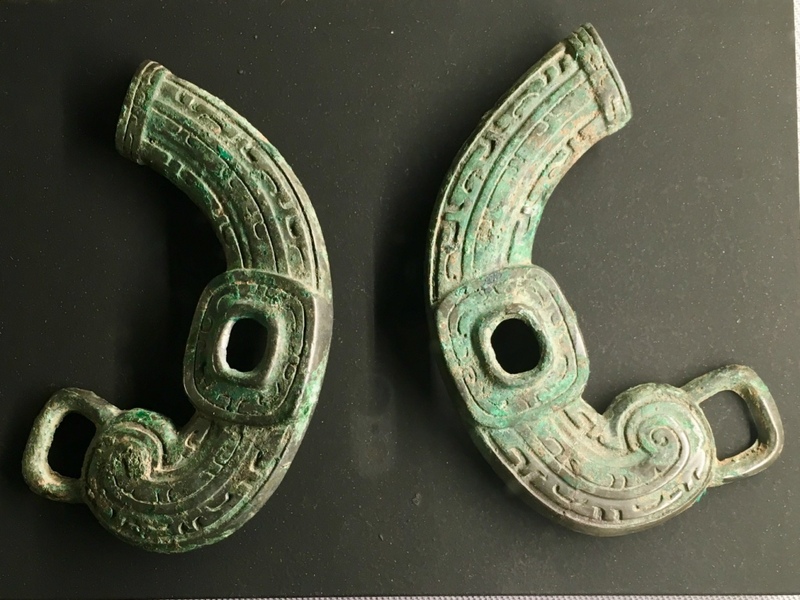 Nevertheless, the Giannelli Collection also includes some very precious ancient findings from the Far East, starting with two very rare bronze cheekpieces, dating back to the Shang dynasty, around 1,100 BC. 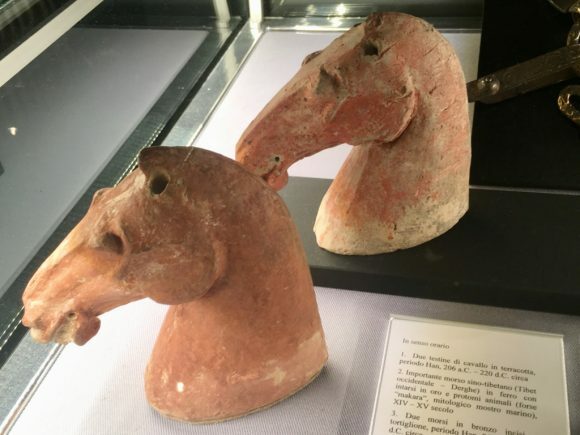 This section of the collection includes several bits, some with elegant spiral mouthpieces, and two exquisite terracotta horse heads, dated exactly between 206 and 220 BC by means of the thermoluminescence dating method. 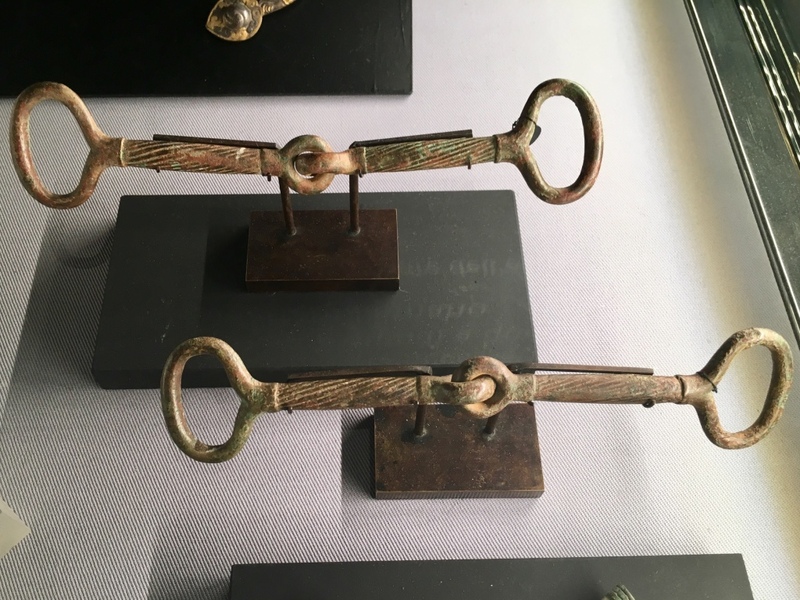 In the exhibition, there is also a considerable variety of ancient Roman bits. 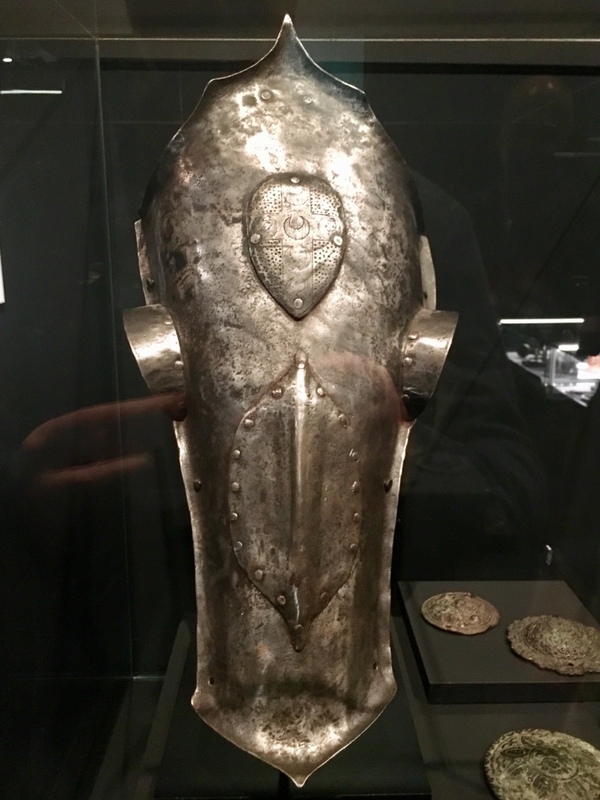 These are particularly rare because they are generally made of iron and, for this reason, they were much more perishable than the older bronze bits. In this era, it is surprising to see the use of mouthpieces made up of rotating washers, bristling with spikes. The shape of some bits, which seem to foreshadow the modern curb bit with long shanks, but still without a curb chain, is also intriguing. 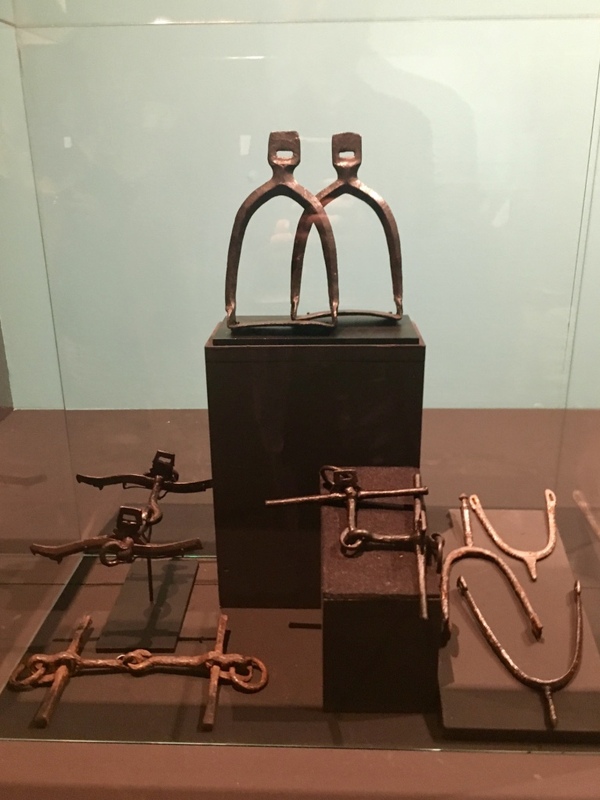 In any case, these were very severe bits (at the limit of torture) and the way they really worked is still rather mysterious. In the exhibition, there is also a beautiful ancient Roman frontplate, with “psalion” (a kind of metallic muzzle). It is displayed together with two bronze blinkers, in order to give an idea of the magnificence of a Roman parade harness. 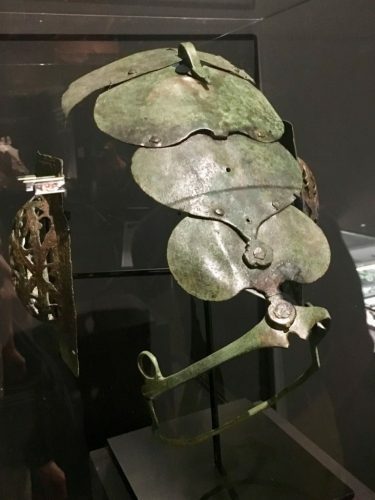 The harnesses used by the so-called “barbarians” were equally, if not more, splendid. 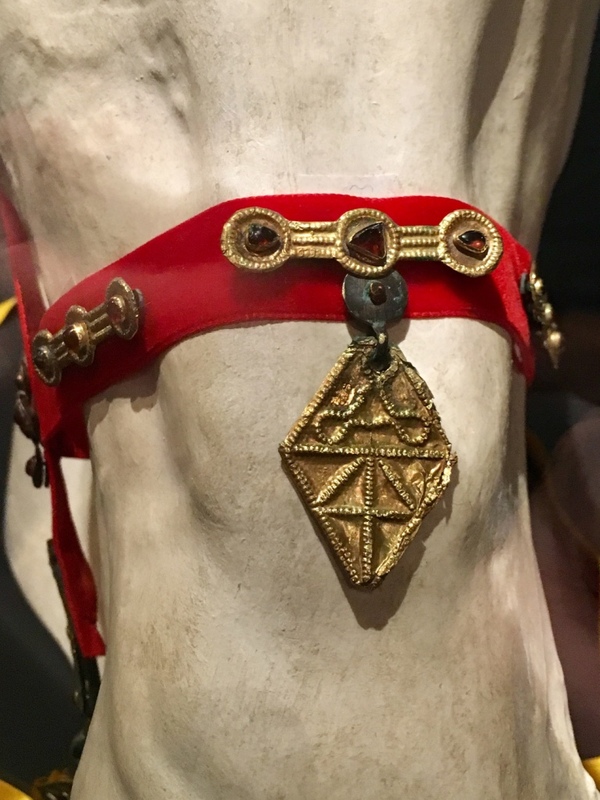 The Giannelli Collection presents two rare sets of decorative plates for harnesses in gold and garnets, datable to the Ostrogoth era (5th-6th century AD). One of them is complete with iron snaffle, and bronze cheekpieces, and displayed mounted on a horse head, to give an idea of the use and of the disposition of those precious decorations. 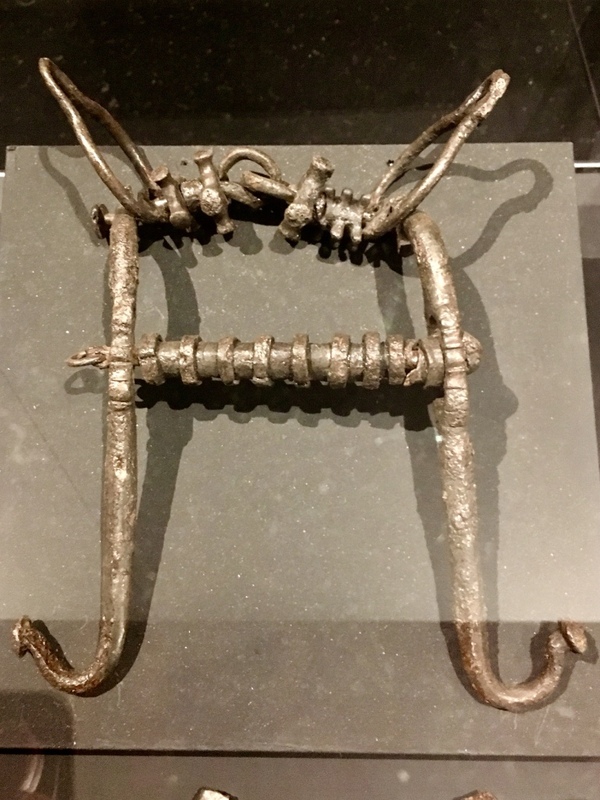 A very interesting showcase was the one presenting Viking bits, spurs and stirrups. In addition to being formidable navigators, the Vikings were, in fact, also skilled riders. They carried their mounts on their ships, tied one next to the other, and they were probably already saddled. As soon as they reached the land, they employed them for their fearsome raids. It is noteworthy that those are the oldest stirrups documented in the Giannelli Collection. In regard to stirrups, the exhibition shows some truly peculiar and rare specimens. They are strange stirrups in the shape of a cross (“estribos de cruz”), made of forged, engraved, or pierced iron. 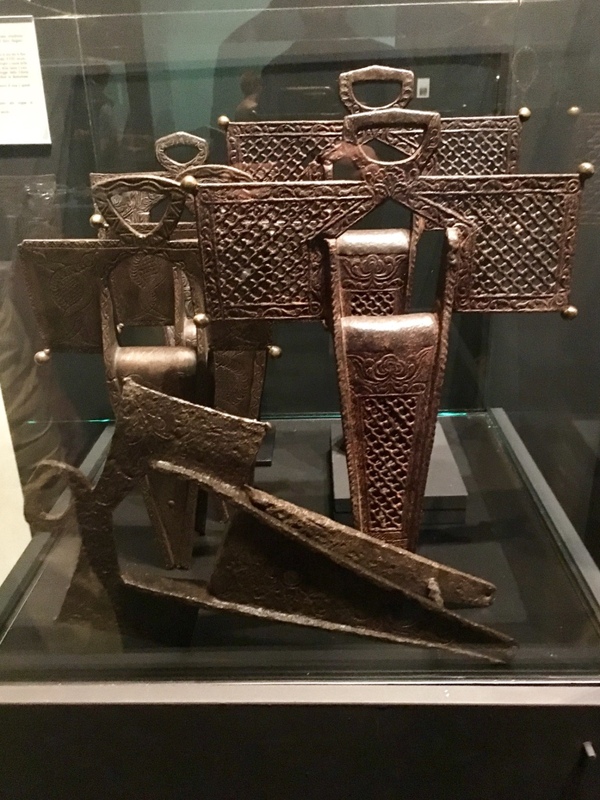 They were used in Mexico between the sixteenth and eighteenth centuries, when they were finally banned, being considered blasphemous for their shape that evoked the Holy Cross. The Catholic Church ordered their destruction, under penalty of excommunication. It is exactly for this reason, that the remaining specimens are extremely rare. One of those that are part of the Giannelli Collection bears the brand of Pedro de Alvarado y Contreras (1485/1495 approximately – 1541). He was a Spanish leader, who participated in the conquest of Cuba (1510-11) and in that of the Aztec Empire by Hernán Cortés (1519-1521). He was also governor of Guatemala and he is sadly famous for his cruelty against the native populations of Central America. 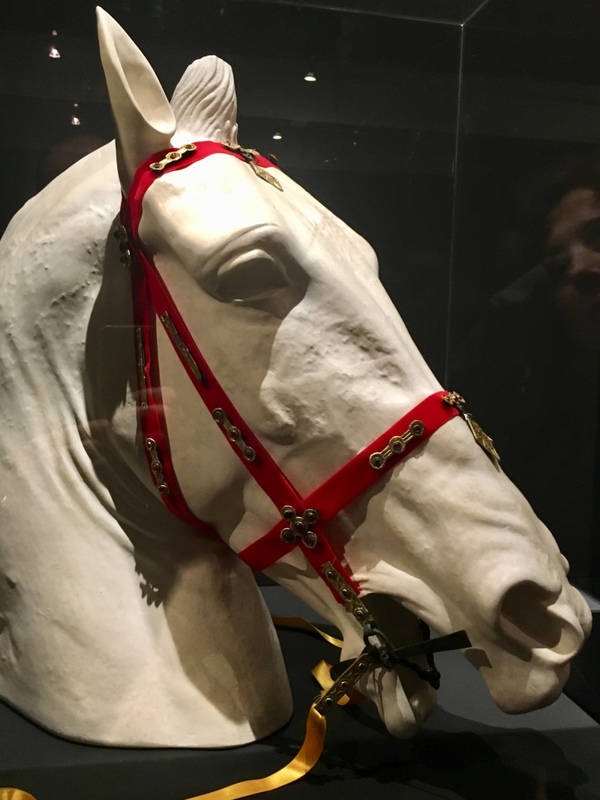 The exhibition then shows Giannelli’s conspicuous collection of Renaissance and Baroque bits (I spoke extensively about it on the occasion of the Exhibition held in Travagliato and of the publication of the book Equus Frenatus). This section has recently been further enriched by a magnificent iron frontplate, dating back to the sixteenth century, on which stands the coat of arms of the Piccolomini family. A perfectly preserved saddle of the “à piquer “type, in leather and crimson velvet, dating back to the eighteenth century, is also very beautiful and very interesting to see. 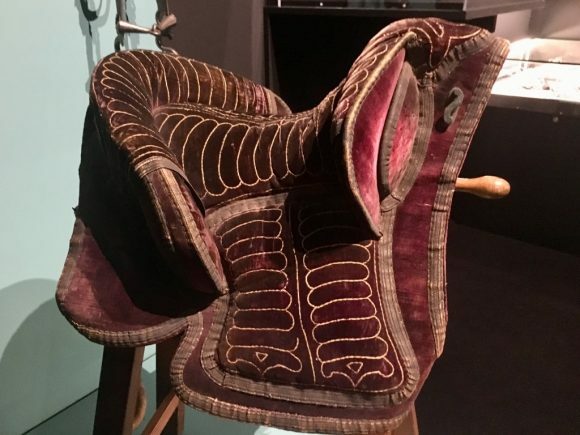 The small dimensions of the saddle testify that the riders were, at that time, most likely not very tall or big. In short, the exhibition confirms the exceptional quality of the collection gathered with patience and expertise by Claudio Giannelli. It is a truly unique heritage that should deserve a permanent exhibition in a museum that would finally document, in a complete and scientifically reliable manner, the multimillennial relationship between man and horse. Such a museum location is still lacking, but we hope the light will soon be seen for the importance of this collection.